International Trade Secretary, Dr Liam Fox, announces increases in financial support for UK businesses to trade in Africa. International Trade Secretary, Dr Liam Fox , announced increases in financial trade support for UK businesses to trade with South Africa as he flew out to South Africa and Mozambique to discuss strengthening trade relations (Sunday 17 September). The visit will help to further develop the good bilateral trade relationships with the South African and Mozambique governments, promoting mutually beneficial support for British investment in Africa. In 2015 trade with Africa totalled £30.8 billion and the International Trade Secretary’s visit will build on the strong opportunities for trade between the UK and Africa. 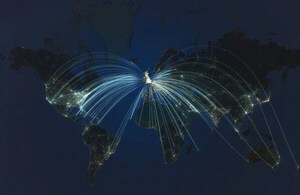 Investment ties between the UK and Africa are growing with African investment into the UK increasing by 500% between 2005 and 2014, and British investment more than doubling over the same period, clearly indicating the rich range of opportunities available. As part of the visit Dr Fox announced that UK Export Finance (UKEF), the UK’s export credit agency, will double support for trade with South Africa to up to £3.5 billion, meaning an additional £1.75 billion will be available for UK companies exporting to South Africa and for South African buyers of UK goods and services. The International Trade Secretary also announced that UKEF are offering UK businesses wider access to government-backed overseas investment insurance (OII) which will protect UK businesses investing abroad. The enhanced support comes as the Department for International Trade looks to encourage more UK companies to invest overseas, realising the opportunities presented by fast-growing developing economies around the world. As we leave the EU, it is a once in a lifetime opportunity to build a more open and outward looking Britain and forge independent trading arrangements with growing economies around the world. That is why as an international economic department, we are making billions of pounds of additional financial support available to UK exporters and buyers of UK goods and services in South Africa and opening up further export opportunities for British businesses across Africa through overseas investment insurance. As part of the visit to South Africa, Dr Fox will meet Rob Davies, Minister of Trade and Industry as both seek to reaffirm the importance of the UK/SA trade and investment relationship. He will also tour the newly opened Invest SA One-Stop-Shop, part of the SA government’s initiative to attract investment and improve the business environment. Whilst there Dr Fox will meet with leaders of WESGRO, the provincial Investment Promotion Agency for the Western Cape, seeing how investment opportunities for British companies are being promoted. The Trade Secretary will also see first-hand how UK investment overseas is positively impacting on the local workforce when he meets apprentices at the Jaguar Landrover apprenticeship facility in Johannesburg. In Mozambique Dr Fox will continue to promote the importance of a UK trade and investment relationship overseas as he meets with President Filipe Nyusi and Trade Minister Ernesto Max Elias Tonela. Total trade in goods and services (ie exports plus imports) between the UK and South Africa totalled £8.1 billion in 2015, a 5.2% increase since 2014 (Source: ONS Pink Book 2016). Total trade in goods and services (ie exports plus imports) between the UK and Mozambique totalled £284 million in 2015 (Source: ONS Pink Book 2016). Contact the DIT Media and Digital Team on 0207 215 2000.